The Center for Southern Craft and Design at the Ogden Museum of Southern Art celebrates the work of metalsmith Ben Caldwell. 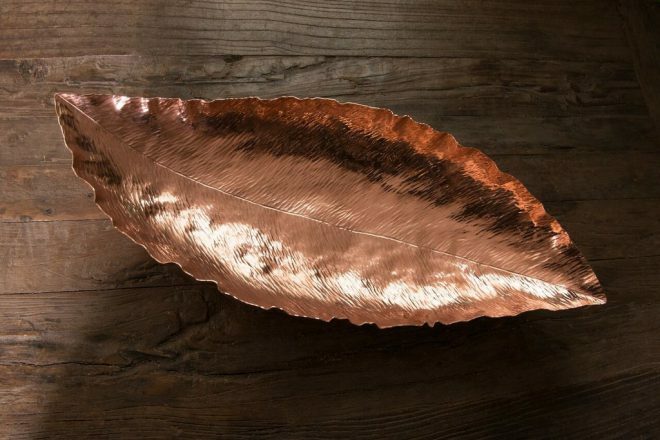 Ben Caldwell’s Copper Banana Leaf Bowl. Image via the artist’s website. As part of its regular Ogden After Hours program, the Center for Southern Craft and Design at the Ogden Museum of Southern Art opens a new display of works by metalsmith Ben Calwell. Walter Wolfman Washington & the Roadmasters play music during the reception.